Roger Federer and Rafael Nadal, long time rivals, together have created arguably the greatest rivalry in tennis history. The two are in Indian Wells this week, slated for a blockbuster quarterfinal next week. 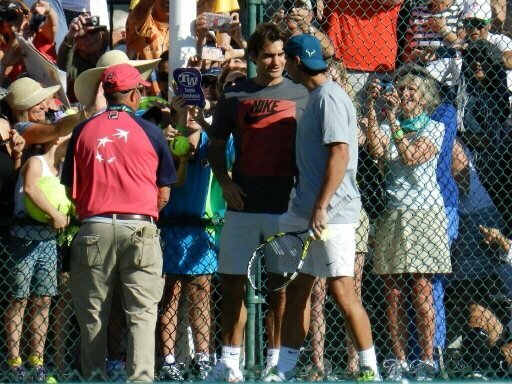 In pre-tournament preparations, the two met up in back to back practice sessions at the 2013 BNP Paribas Open. Check out some photos below. Visit the all-in-one-place information page for more, Indian Wells 2013.